Our commercial electrical services are a wide arrange of solutions for pretty much every commercial need possible. The commercial electrical technicians can service any new construction including planning and blue print installation along of expansions of current electrical systems for future usage and planning. Alpha Electric Commercial Services are also available for those who need repair of existing facilities or bringing old technology to up to code required by exiting electrical compliance regulated by official authorities. 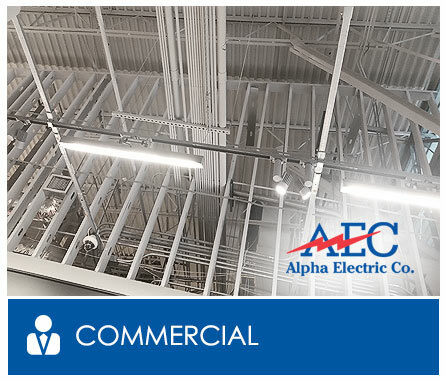 Our Alpha Electric Commercial Department is staffed with scheduling coordinators with the technology and experience necessary to arrange any service your business may need. Be it routine maintenance or an emergency call, the technician will arrive informed and prepared to ensure efficient service so your business can resume its normal practices.